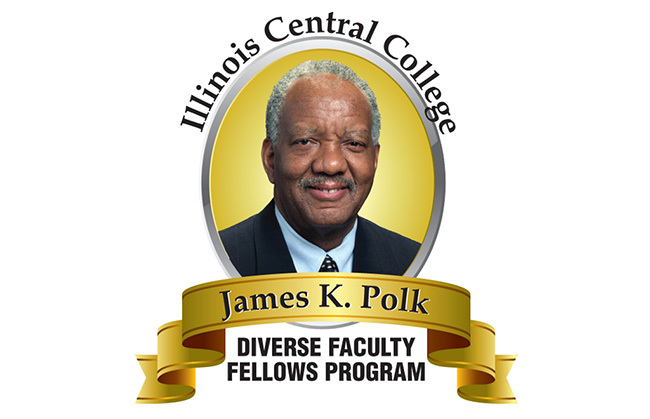 The goal of the Faculty Fellowship Program is to further diversify Illinois Community College’s faculty workforce and to promote community college career opportunities as desirable options for members of minority teaching groups. The Faculty Fellows Program is designed to recruit, retain, and promote outstanding scholars from different backgrounds, including individuals from groups that have been historically underrepresented in higher education. The Faculty Fellowship Program will provide qualified applicants with an opportunity to teach in their certified discipline while taking on various projects that will develop minority talent for future positions within higher education. Fellows must have successfully completed a master’s degree or doctorate from an accredited university in a discipline or related area that corresponds with academic departments at ICC. Participation in professional development opportunities within the ICC community and Peoria community that occur during the fellow’s assignment. Faculty Fellows are non-tenure track faculty who will be assigned an instructional workload up to 12 contact hours per semester. No previous teaching experience is required. Fellows will also be given release time from their home departments to serve on .25% – .50% FTE fellowship appointments for up to two years as assigned by the Vice President of Diversity. Work assignments will be significant and meaningful to the College’s operation. Many will be project-based, requiring the Fellow to learn about and conduct a string of related initiatives to achieve successful completion. Fellows will also participate regularly in senior-leadership team meetings and be asked to contribute as members of those teams. In addition, Fellows will need to stay current in their disciplines. Official transcripts are required upon hire and employment is contingent upon a criminal background check. Employment Sponsorship is not available. Develop substantive relationships between Fellows and College faculty members chosen as mentors. Determine what students have learned as a result of the teaching process through the deliberate, systematic, and reflective use of assessment techniques and research methods. Discuss ways that a teacher might leverage the diversity of the students to enhance the learning of all. Develop an understanding of the complementary and supportive relationships between academic affairs and student services. Describe and recognize the value of academic student supports commonly found within higher education institutions. Develop an understanding of the various systems within higher education, including Academic Affairs, Student Services, Institutional Research, Accreditation, Human Resources, Diversity, Marketing/Public Relations, IT, Finance, Educational Foundation, and Public Safety.